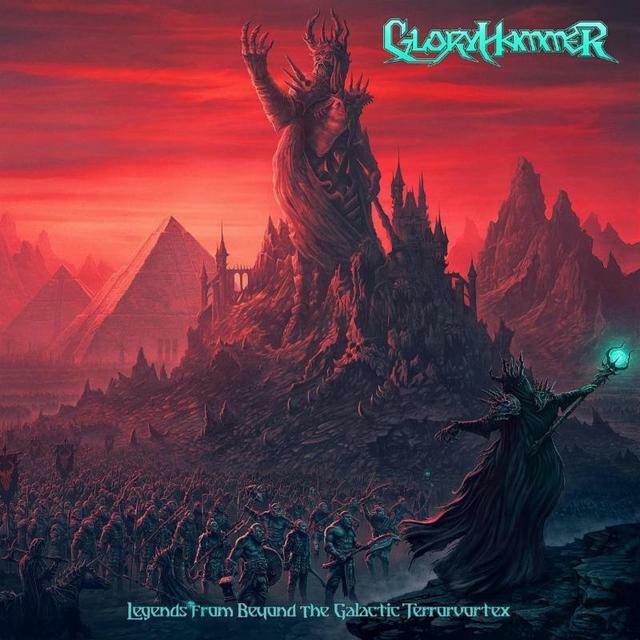 In a band statement, GLORYHAMMER says, "Mighty Warriors of North America! We are proud to announce the beginning of the Intergalactic Terror tour! Beginning this June, we will spread the Legends From Beyond The Galactic Terrorvortex across the USA and Canada, joined by North Carolinian heavyweights AETHER REALM. Are you ready to taste the power of HOOTS?" Zargothrax comments on the new album: "Oh wow! I know a lot of people have been waiting on this album for what seems like centuries. For the last three years we've been working non-stop on it in absolute secrecy, and now it is finally complete! We can't wait for y'all to hear it… this is the greatest power metal album of all time. HOOTS!"